The high school research paper, that academic rite of passage riddled with footnotes and anchored by a bibliography, has faded from many classrooms, a consequence of larger class sizes that leave teachers with more students and less time. Several Chicago-area high schools have dialed back the paper's length requirements and instead emphasize the research process and weighing of sources, a critical skill in the digital era, teachers say. Others skip the extended assignment entirely in favor of shorter, intermittent papers, while some allow students to showcase their research with PowerPoint presentations and Web pages. But students could miss out on key research and writing skills that help them succeed in college as a result, contend several historians and professors. "I figure if you write a serious history essay…you've broken the ice of scholarship," said Will Fitzhugh, the founder and one-man force behind The Concord Review, which spotlights the best high school research papers. "But we're sending kids to college without that experience." Timothy Gilfoyle, chairman of the history department at Loyola University Chicago, estimated that fewer than 10 percent of his students wrote a history research paper in high school that drew on primary sources and spanned 10 pages. So to give freshmen a taste of historical research early in college, Gilfoyle assigns a 10- to 12-page paper as a take-home final exam in his freshman survey class. He offers to read and edit an early draft of the essay for students willing to rewrite and rework it for their final grade. "They are less capable of writing long papers of 10 pages or more. It often requires more remediation on our part to explain and encourage them to submit rough drafts," said Gilfoyle. Some Chicago-area high school teachers say they are emphasizing more modern methods of presenting research. "I can't honestly say we are still engaged in that old-style, 12-plus-page literary research paper," said Jack Bowyer, chairman of the English department at Barrington High School. "We allow for it to take other approaches." While some teachers in the northwest suburban school still assign a literary analysis that requires students to consult sources, develop an argument and write at length, others ask teens to research an issue drawn from their own surroundings, interview experts and write with a more informal tone about their conclusions. Whatever the final format they use, Barrington 11th-graders must complete the research project to pass English. Students who still are tasked with writing—and rewriting—term papers confront the assignments in English more often than history. Lake Park High School recently revived a research paper requirement after more than a decade after graduates of the Roselle school said they wished they had done more research and in-depth writing while there. In the past, 11th-graders who failed to submit 15 to 20 pages of research and analysis risked failing the junior English course, according to district policy at the time. "It was an albatross," English curriculum leader James Salter recalls. "I remember being the new guy on the block, and I kind of looked around and said, 'Is this like a root canal for everybody else?' "
So in 1998, Lake Park dropped the tried-and-true term paper, allowing students to present their research with speeches, PowerPoints or even Web pages. The research paper did not return in any great length until this fall, when seniors were required to write a five- to 10-page document in their English courses. This spring, they'll write another one. Other schools are proud to have held on to the time-honored term paper. "I think the research paper is so traditional it's cutting edge," said history teacher Paul Horton at the University of Chicago Laboratory Schools. Research papers by four Lab students were featured in the two most recent editions of The Concord Review in what Fitzhugh called a rare feat. New Trier High School assigns a junior theme paper that spans six to eight weeks of research with intermittent deadlines, assignments and teacher conferences, English department chairman John Cadwell said. Students consult a blend of primary and secondary sources, and no, Wikipedia does not cut it. Length varies, but most final works hover from six to 12 pages. Cadwell said teachers routinely demythologize the assignment for incoming students who've heard accounts from older classmates or even parents who attended the North Shore powerhouse. We've learned that the Gilder Lehrman Institute of American History has released a new edition of History Now, a quarterly online journal for history teachers and students. Transcendentalism and Social Reform, by Philip F. Gura. Education Reform in Antebellum America, by Barbara Winslow. 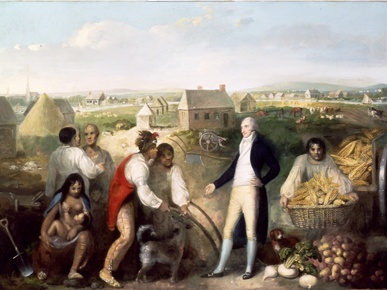 Sylvester Graham and Antebellum Diet Reform, by Cindy R. Lobel. Women and the Progressive Movement, by Miriam Cohen. Modern Women Persuading Modern Men: The Nineteenth Amendment and the Movement for Woman Suffrage, 1916-1920, by Jonathan Soffer. The Transnational Nature of the Progressive Movement, by Daniel T. Rodgers. The Institute web site also features a number of related podcasts, for example, this one with Blair Ruble delivered at New York University in 2010. Call for Papers: Social Science History Association (SSHA) meeting, Vancouver, Canada, November 1-4, 2012. Its theme this year is "Histories of Capitalism." They explicitly want to draw on an interdisciplinary group of scholars who hail from different institutions. Deadline for abstracts: March 1, 2012. The 2012 Program Committee seeks panel proposals that focus on Histories of Capitalism. But it also encourages, as usual, papers and panels on all aspects of social science history. Dramatic developments in the contemporary world – including the current world economic crisis; the rapid economic growth of China; the shocking rise of income inequality in the United States, or the looming danger of climate change – argue strongly for putting the history of capitalism at the center of our agenda in social science history. These contemporary developments point to capitalism’s enduring enigma: it promises the utopian possibility of overcoming material want but creates barriers, inequalities, and dystopian disasters en route. Features or aspects of capitalism often figure as causes or effects in studies of a wide range of topics close to the heart of social science historians: urbanization, labor struggles, cultural change, the demographic transition, gender and racial inequalities, migration, agrarian movements, or economic growth, to cite a few key examples. Yet capitalism usually figures as a context – either avowed or unavowed – of the phenomena we are attempting to grasp. Only occasionally do we reflect explicitly about the specific dynamics of capitalism as an evolving system or about how these dynamics shape possibilities for social and political action. The Social Science History Association, with its rich tradition of interdisciplinary research, is an ideal forum for exploring all aspects of the history of capitalism both as an enduring intellectual problem and as a burning issue of contemporary politics and culture. "I have assembled a special issue of history research papers on women's history by secondary students published over several years in The Concord Review. They range over women's history topics from Canada, China, India, Mexico, and of course, the United States. The authors came from Alberta, Arkansas, California, Illinois, Indiana, Maryland, Massachusetts, New Jersey, South Carolina, and Washington State. "These are among the best history papers we have ever published. Of course, your purchase from Amazon will help us to keep offering this unique opportunity to diligent high school students of history, but I also really hope you like the papers, and I would love to hear from you if you do." Click this link to the Amazon site. The Concord Review, Inc., was founded in March 1987 to recognize and to publish exemplary history essays by high school students in the English-speaking world. With the Winter 2011 issue (#89), 978 research papers (average 5,500 words, with endnotes and bibliography) have been published from authors in forty-six states and thirty-eight other countries. The Concord Review remains the only quarterly journal in the world to publish the academic work of secondary students. We've received news that the National Council for History Education, South Carolina State University, and Richland School District Two will be presenting, "South Carolina and the Civil Rights Struggle Conference." It is scheduled for February 23-24, 2012. To learn more about this event go to this web link today. The annual Martin Luther King, Jr., holiday will be commemorated this coming Monday, January 16. History Education Hawaii will be closed for the holiday and reopen on Tuesday, January 17. History Education Hawaii has heard that a We the People State Competition is scheduled to be held on Saturday morning, February 4, 2012 at the First Circuit Court in Honolulu. State Coordinator Sandra Cashman wrote, "Although the Center for Civic Education lost its funding for this year due to federal budget constraints, I'm still serving as the State Coordinator for We the People." She is working with Executive Director Matt Mattice and Education Specialist Keahe Davis at the King Kamehameha V Judiciary History Center at Aliiolani Hale. "The Center is working to restore funding in the future," writes Sandra, "and meanwhile most of the state programs are carrying on to the best of their abilities." The Center is hosting a national final from April 27 to 30 at George Mason University. However, there will be no financial support for attending teams. Judges are needed for the Hawaii state competition. If you're able to do so, please contact Sandra Cashman. 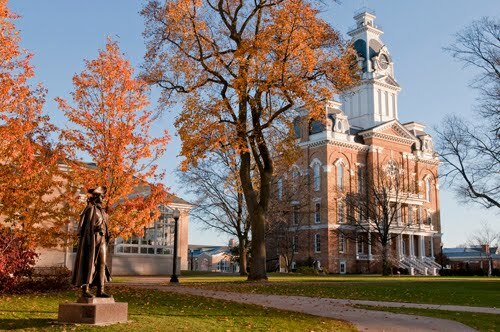 Hillsdale College is offering a free online course on the United States Constitution. Constitution 101: The Meaning and History of the Constitution is a ten-week online course commencing February 20, 2012. Larry P. Arnn, President and Professor of Politics. Thomas G. West, Professor of Politics. Will Morrisey, William and Patricia LaMothe Professor of the U.S. Constitution. Ronald Pestritto, Charles and Lucia Shipley Professor of the American Constitution. Kevin Portteus, Assistant Professor of Politics. David Bobb, Director, Allan P. Kirby, Jr. Center for Constitutional Studies and Citizenship. Register now for this free course by clicking this link. 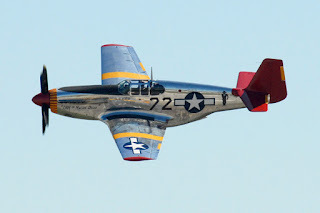 News has arrived from the Pacific Aviation Museum that the Tuskegee Airmen Symposium will be held on Sunday, January 15, 2012. It will be in the Museum Theater 2:00 p.m. - 4:00 p.m. The event is free to Museum members and included in the price of general admission for non-members. MSgt Chandra Mark, president, Tuskegee Airmen, Inc.
Red Tail the documentary film will be shown. Crafting Freedom: Black Artisans, Entrepreneurs, and Abolitionists of the Antebellum South, aka Crafting Freedom is a highly acclaimed workshop for K-12 educators on 19th century African-American history. * Session I. June 21-26. * Session II. July 12-17. This professional development opportunity is part of the popular National Endowment for the Humanities (|NEH) Landmarks of American History and Culture Workshop series. Accepted participants receive a $1200 expenses stipend. The workshop features seminars by top scholars and teacher mentors, visits to "off-the-beaten-track" historic sites and archives, dramatic performances, collegial learning in a quiet, comfortable setting and much more! To apply or for more information go to this link. You may also contact Laurel C. Sneed, workshop director, at laurelsneed@gmail.com. This summer institute will examine the transformation of the lands between the Appalachian Mountains and the Mississippi River from “Indian Country” to “U.S. territory,” from North to South, between 1812 and 1833. The Newberry Library has long been in the forefront of the study of Native America, in both its collections and sponsored scholarship, and it is the perfect place to host an institute that bridges the divide between American Indian history and traditional narratives of U.S. history by exploring the borderlands and backcountry of the trans-Appalachian west. Participating teachers and educational professionals will benefit not only by working with top-flight scholars and the resources available at the Newberry Library, and in other archives and museums in the Chicago area, but also by providing an opportunity to investigate more deeply an all-too-often overlooked topic in American history—the cultural, political, social, and economic interactions among the diverse groups of people who occupied and travelled through Indian Country during the era of the Early Republic. Completed applications should be submitted to the project director and should be postmarked no later than March 1, 2012. Successful applicants will be notified of their selection on April 2, 2012and they will have until Friday, April 6 to accept or decline the offer. All will receive a stipend of $3,300, an amount determined by the NEH. Stipends are intended to help cover travel expenses to and from the project location, books and other research expenses, and living expenses for the period spent in residence. Applicants are asked to complete the Application Cover Sheet online at the NEH’s website. Please mail hard copies of all other required materials (three copies each of the cover sheet, a résumé, and an application essay, along with two letters of recommendation) to the D’Arcy McNickle Center. Before you apply, please read the Institute Description (Letter from the Directors) and the NEH Participant Application Instructions . Applicants are responsible for reading the institute description and the application guidelines prior to submitting an application. This institute is supported by a major grant from the National Endowment for the Humanities, an independent federal agency. The Newberry is an independent library for research and reference in the humanities.